The Big Apple played host to the next motor show of the year. There were a few interesting debuts. Due to the popularity of BMW's baby SUV in Europe it didn't make it Stateside three years ago as had been originally planned. 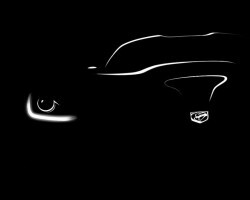 Instead our American cousins will have to wait until this mid-life facelift to get their hands on the X1. Naturally they'll be offered petrol engines and four-wheel drive xDrive variants, but diesels and two-wheel sDrive models will be sold in Europe as ever. When the Chevy Impala is mentioned around here, images of the V8-powered rear-wheel drive models of old are conjured up, but for the last two generations the Impala has been front-wheel drive and this is set to continue with what will be the tenth generation car. Based on an extended version of GM's Epsilon II platform, which also underpins the Vauxhall Insignia and Saab 9-5, the new car is expected to be offered with a turbocharged four-pot engine, a V6 and possibly a hybrid powertrain. Images of the new Fisker Atlantic, nee Project Nina, leaked on to the web days ahead of the official unveiling so the surprise has been somewhat ruined. The Atlantic is an important car for Fisker as it sees the young company move towards mainstream with a plug-in, range extending hybrid set to take the fight to the likes of the BMW 3 Series and Mercedes-Benz C-Class. Somewhat surprising then that BMW is said to have supplied the engines that the Nina will use to extend the range of its electric powertrain. Don't expect it to be cheap. The third generation Santa Fe is said to offer 'Refinement, Smartness and Practicality' and its design has come from a new tangent of Hyundai's Fluidic Design Sculpture called 'Storm Edge'. Marketing fluff aside, we like it. Not really new, more limited editions of the Grand Cherokee, Compass and Patriot models. Shown as a concept at the Houston show in January the new cars feature the popular 'murdered-out' or all-black look with grille, wheels, lights and interior all coated in various shades of noir. This year represents the 25th anniversary of LR's debut Stateside and will mark the occasion by showing the Range Rover Evoque Convertible concept to what is set to be its biggest market. The DC100 concept (the Defender replacement to you and I) has also been wheeled out with a new livery while special editions of the Discovery and Range Rover Sport were also launched. The SL 65 is for those who find the 537hp V8-powered SL 63 AMG too tame. The new car packs a bi-turbo V12 that churns out 630hp and a full 1,000Nm of torque. Zero to sixty should be dealt with in four seconds and, as if it matters, the SL 65 should be able to return 24- or so mpg. But more importantly it has a bi-turbo V12. Did we mention that? The unveiling of a diesel powered Cayenne would barely cause a ripple this side of the pond, as we have had the 3.0-litre V6 turbodiesel since 2009, but the diesel Porsche SUV is big news Stateside. In a nation notoriously petrol-biased the decision to offer a Cayenne powered by the 'fuel of Satan' may represent a small but noticeable shift. This was the big news for New York; so much so that once the covers were removed from the all-new SRT Viper nobody paid attention to the other cars. The Dodge name might be gone, replaced by SRT (Street and Racing Technology), but everything that made the Dodge Viper famous looks set to be retained, including a V10 engine, impossibly long bonnet, and the ability to create '11s' in the blink of an eye.